Tinkerbell is an attractive girl, a little too heavy to fly these days but nevertheless still has a magic quality about her! Tinkerbell had four kittens that she kept under the building at a western suburbs school. Small world. Life goes in circles, the very same building I was taught at until I was nine. For a young mum without the benefit of a family structure, Tinkerbell had a hard time keeping her kids under control. Once they discovered playtime they kept running in all directions and that was how Tink was discovered. A couple of kindly teachers started to leave food for them with a plan to catch her offspring. Although Tinkerbell was in dire need of the calories she tried to guard her kittens from capture, standing in front of them, blocking their escape and losing them one by one. Tinkerbell was trapped by us and desexed, with the plan to go back to school but in the scheme of things plans never seem to work very well as many a wise person has noted. For me it seemed like a lonely existence for one small cat and the longer she stayed the harder it was. A learning relationship ensued. She swiped and hissed, I constantly reminded her that her board and keep were not cheap; I had likely saved her life from that of a vagrant existence had I not? 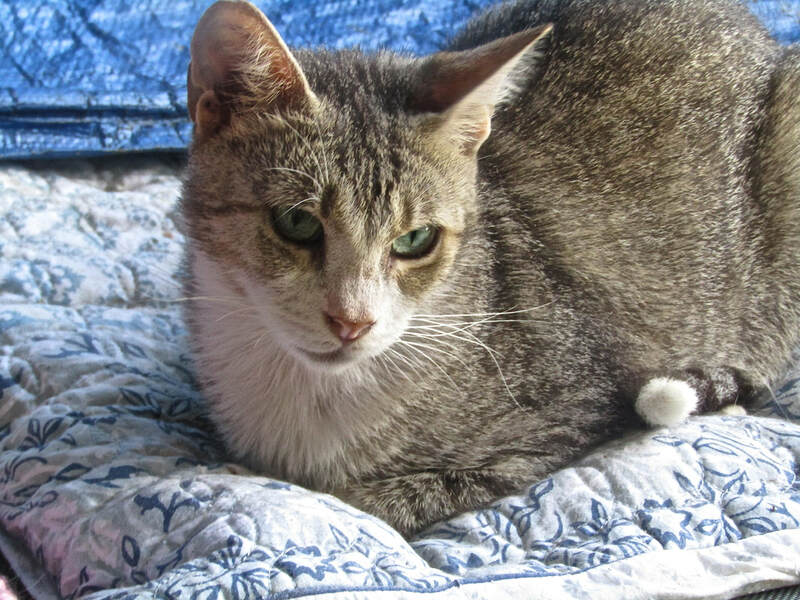 It is high time Tinkerbell found her own home, her own friends and family and the safety and warmth of real companionship. She so deserves it and is so worth it.